Rajasthan owns a peculiar beauty and charm which attracts tourists even after being a desert state. Popularly known as ‘Land of the Kings’, you can still feel that royalty in the rich culture of Rajasthan. It holds a glorious history of Rajput Kings and their struggle with various invaders including Mughals. The art, lifestyle, architecture, and cuisines of Rajasthan reflect those mighty old days. One can’t resist the amazement while viewing the huge forts, colourful dressing and enjoying vibrant celebrations, lip-smacking food of Rajasthan. An enormous crowd of tourists visits Rajasthan to understand the history and diversity of India. Rajasthan tour packages are in high demand as foreigners also want to stay in this rich cultural desert. 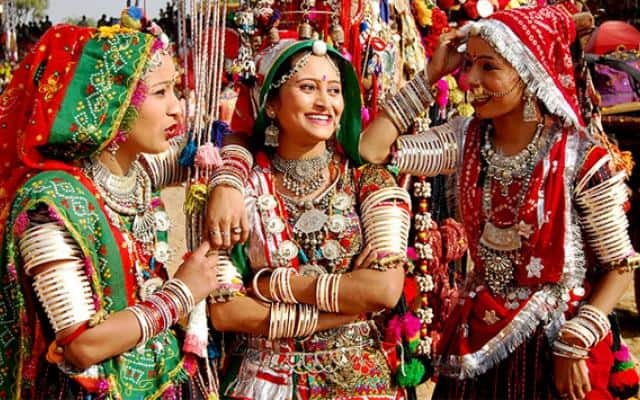 So, let’s know some amusing things about Rajasthani culture. You must have been to many cities and countries and explored the attractions and places. But have you ever been to a destination where the locals welcomed you like a god? The chances are very rare of such an experience. Don’t worry; you can get this special treatment only in Rajasthan. Although the Rajputs are known for their bravery, you could see another totally opposite side of their nature. These tough looking people are very soft hearted and generous as you can estimate from the concept of ‘Atithi Devo Bhava’. Atithi Devo Bhava means that guests are just like god and they should get godlike treatment. It’s the basic principle followed by every Rajasthani. No matter from where you belong and who you are, they will treat you with the utmost respect. Most of them are involved in guide work as they want to serve their guests properly. 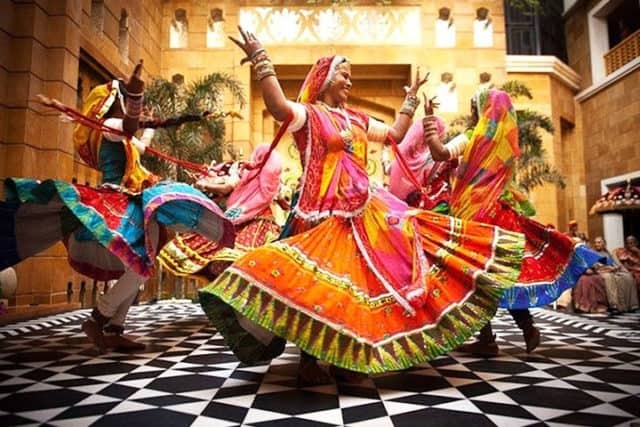 The music and dance of Rajasthan is the fusion of many different forms and styles. You can find lots of variety as various rulers; dynasties and people of distinct religions ruled this state. Rajasthani folk music consists of many groups called Manganiyars, Langas, Banjaras, and Jogis. They perform distinct Ragas (folk songs) for varied purposes. These ragas are so powerful that they actually worked for changing the natural phenomenon such as weather in old times. These ragas are performed with instruments like sarangi, dhol, shehnai and been in the form of ballads. Dance performances were the source of entertainment for kings and community. Dance forms were slightly different according to the tribes. Some well-known dance forms are ghoomar, bhopa, chang, kathipuli and tejali. Few are famous on an international level, for instance, ghoomar. The forts, temples, and palaces of Rajasthan serve as a mirror to the architecture of the city. For the monument lovers, a trip to Rajasthan is a very good deal. The second largest wall of the world in Kumbhalgarh Fort, thousands of ancient pillar carvings in Ranakpur Jain temple, the famous Johar Kund of Chittorgarh Fort and the 1000 windows of Hawa Mahal will show a unique side of Indian history. Well, there is a never-ending list of wonderful places with traditional architecture in this land of kings. Many prominent forts received global recognition, and they are included in the list of UNESCO world heritage sites. 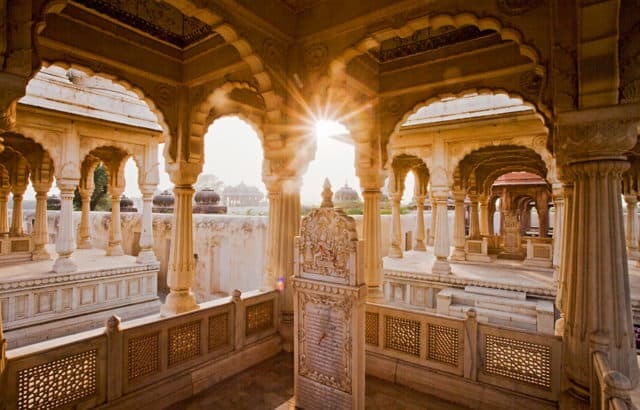 You should visit Amber Fort, Chittorgarh Fort, Jaisalmer Fort, Kumbhalgarh Fort, Udaipur City Palace, and Umaid Bhawan Palace during your stay in Rajasthan. You can’t know the culture of Rajasthan without tasting its scrumptious Rajput cuisine. The combination of spicy and sweet taste is something which makes Rajasthani food delectable. 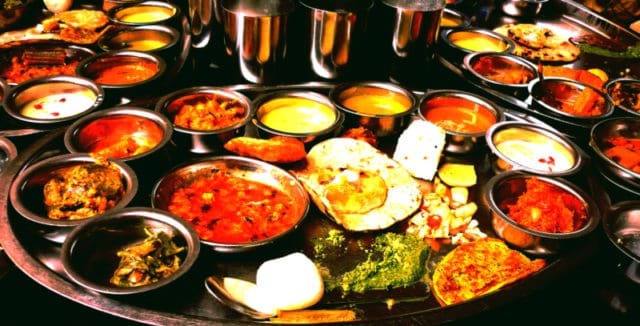 In Rajasthan, 70% of the population is purely vegetarian making it one of the most vegetarian states of India. You can try Dal Baati Churma which is made up of various pulses and wheat by using ghee. If you are looking for non-vegetarian options, then you should try tangy Lal Maas and creamy Mohan Maas. When it comes to the snacks, Kachoris are the healthiest option available in the city. For spicy food lovers Onion Kachori is best, and Mawa Kachori is perfect for those who have a vicious sweet tooth. To complement the main course, you can also go for some popular sweet dishes like Ghewar, Malpua, and Dilkushal. 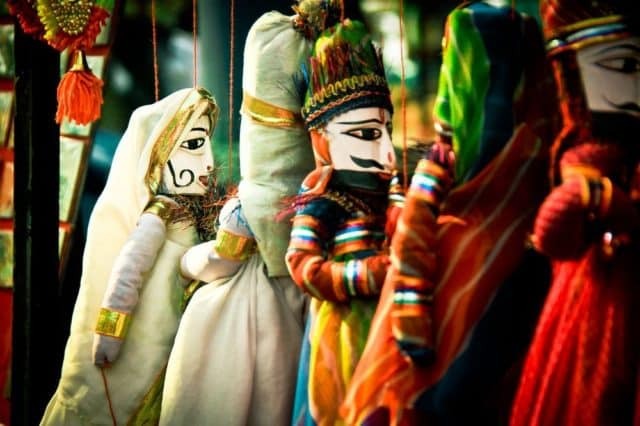 You will agree on the fact that Rajasthan is full of talented gems after exploring its shopping streets. You will find plenty of beautiful art pieces which you can take back as souvenirs. Colourful jewellery, carpets, garments, and leather accessories will steal your heart in these markets. You can get leather bags, diaries and shoes made up of pure camel leather from here. The distinct clay decorative items with bells, colourful traditional pagri are the popular antiques of Rajasthan. Most of the valuable items are easily available at a reasonable price. It will be more fun for you if you love bargaining. The clothing style of Rajasthan makes it more colourful and suits the friendly nature of the folks. Being a desert area, locals usually wear loose cotton clothes. The bright colour combinations, dotted patterns, and geometrical borders will surely impress you. The women wear traditional Saari with odhni to cover their heads and face in harsh heat and for respect as well. Men can be seen wearing light coloured dhoti with kurta and colourful pagri (headgear). You will see the impact of religion in Rajasthan during visiting the ancient religious places of the state. One can see Hindu and Jain Temples, Dargahs in every city of Rajasthan. The religions observed in the state are Hinduism (mostly Vaishnavs), Jainism and Islam. The state consists of a majority of Hindu population as it was the land of Rajput kings and their generations. However, local folks know Hindi and English due to increasing tourism but, famous dialects of Rajasthan are Marwari, Mevati, Malvi, and Jaipuri. You can hear any of these while walking in the rural areas of the state. It’s time to have hands-on experience and explore the famous tourist destination – Rajasthan. Grab your phone and book a suitable Rajasthan tour packages now!